Please remember that when reporting a sighting to please leave your name and phone number with the date and location of the sighting. 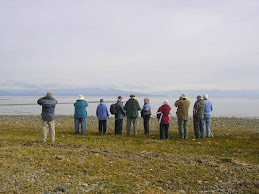 The Sunday bird walk went to the Plummer Road side of the Englishman River in Parksville. The morning was sunny with calm winds. Over twenty Steller’s Jays flew into the trees not far from the trail. This is the first time we have seen the Jay’s for about two years—a great sight! A large number of Killdeer, Western Sandpipers, Least Sandpipers and a Semi-palmated Plover were seen on the mudflats. Thirty Common Mergansers were seen on the gravel bar just off shore. We spotted a lone White-winged Scoter flying just above the water, heading up the Strait of Georgia. A Merlin flew in chasing a flock of Western Sandpipers and Least Sandpipers but left empty handed. 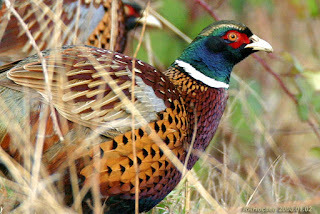 A Ring-necked Pheasant was seen along the Art Gallery fence and again just off the trail near the end of the walk. 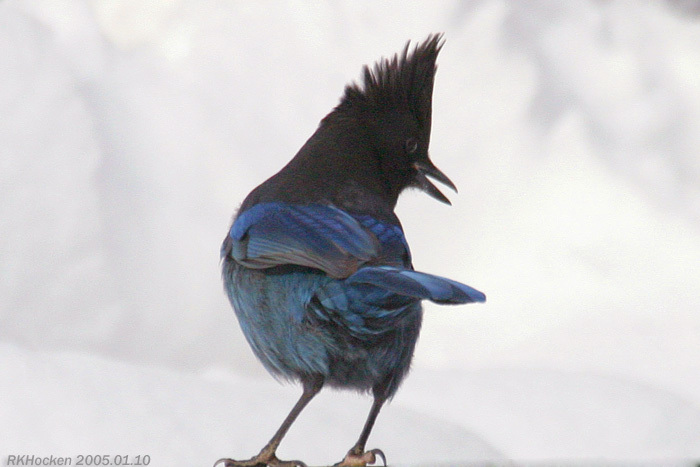 Steller’s Jay: Ralph Hocken Photo. The Tuesday Birdwalks will resume on September 5, 2017. The Sunday Birdwalk on August 27, 2017 will be going to the Buttertubs marsh in Nanaimo. 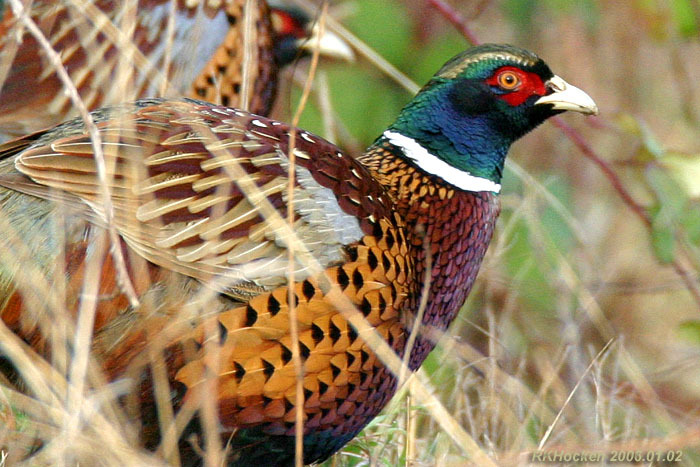 Meet at the Birdstore at 9:00 a.m. or at the Bowen Road side of Buttertubs at about 9:15 a.m.